Auten Road Intermediate School fifth grade Team 5J, led by Mrs. Lyons and Mr. Augello, and Team 5K, led by Mrs. Corlis and Mrs. Andreski, participated in the Fifth Annual Soup-er Bowl soup collection. The Soup-er Bowl is a challenge between the teams to collect the most cans of food to donate to the Hillsborough Township Food Pantry. Over 100 students participated. During the two week challenge the students learned the true lesson of charity as they collected cans and generous donations, and selflessly used their own allowance and Christmas money to buy cans. 102 families representing Teams 5J and 5K gathered an impressive 3,683 cans, topping last year’s collection by over 1500 cans. These ambitious students also tirelessly checked expiration dates, sorted all the food types and boxed the donations for delivery. 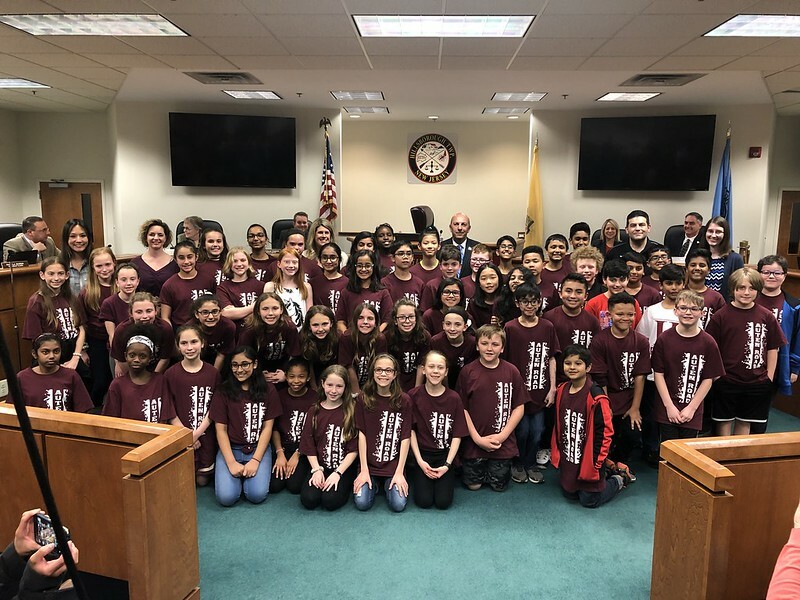 The Hillsborough Township Committee is proud to recognize Auten Road Intermediate School Teams 5J and 5K for their participation in the Soup-er Bowl collection and for leading by example with their contribution to the Hillsborough Food Bank.